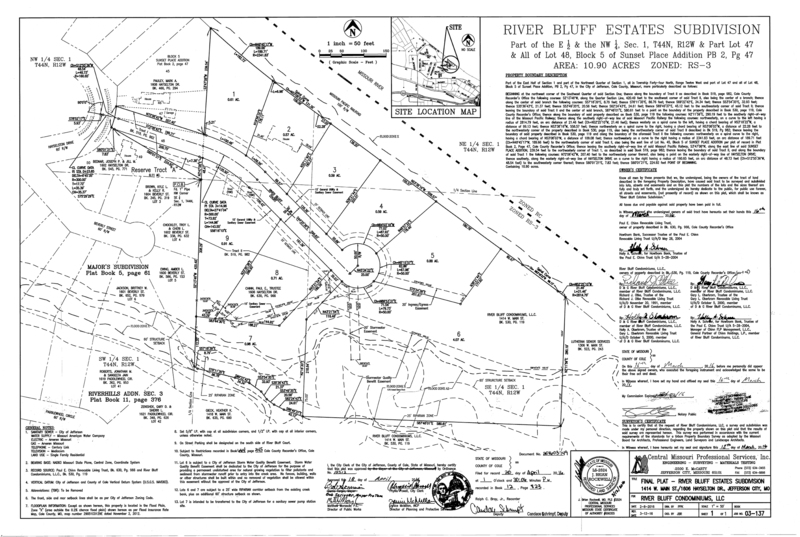 River Bluff Estates offers a rare opportunity to build your new home on the bluffs overlooking the Missouri River and enjoy a one of a kind view that only a few people in Jefferson City are lucky enough to own. Located off Hayselton Drive, in one of Jefferson City’s most sought after neighborhoods, these building sites combine the best of both worlds… Large mature trees provide natural privacy, and the river bluffs offer the breathtaking views. Your new home could be built on any of the six river view lots available. This exclusive area offers potential homeowners a magnificent view and a special place to call home. Unlike any other neighborhood in Jefferson City, these large lots will allow for a generous yard and ample space to build your dream home. There are also two large lots available with old growth trees and beautiful natural surroundings. DOCC has carefully and thoughtfully planned River Bluff Estates to harmonize with the flavor and character of this historic neighborhood, and be good stewards of the land. The vision is to build on this neighborhood community that has been in place for decades.